Custom Nameservers are required on VPS and Dedicated Hosting when you are using multiple cPanels. This tutorial will step you through on how to set them up to use with your domains and cPanels on your account. If your domain is registered elsewhere you will need to register the nameservers there. 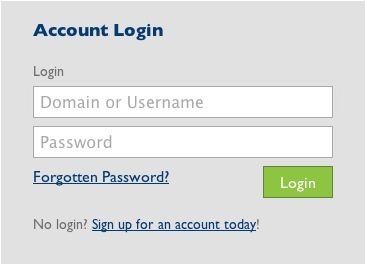 Login to your Bluehost cPanel. Click Domains in the top navigation bar. Select the domain in the Domain List toward the bottom of the page. Click Name Servers to the right of the domain. Select Custom Nameservers and enter the nameservers for your account. If you do not have the A records setup for the nameserver then go to Setting A Records section of this article. If you know that you have the A records already than skip this section. On the Quick Navigation bar click Zone Editor. This can be anything that you would like, but you will need to remember what it is when you are entering the custom nameservers. For simplicity ns1 or ns2 works well. This has to be one of the IP addresses assigned to the hosting account. If you are using a 3rd party to handle your DNS, you will need to do the same as above, using their interface to configure the nameservers to use your IP address. This process varies depending on the registrar. Here are some guides that a few of the registrars have provided. Common names for this process are "private nameservers" and "custom nameservers" but the naming varies. If you have questions, you will need to contact your registrar. Bluehost does not ultimately have control of the settings of your registrar.